We are a group of dancers of this style, mixed level, who practice and dance together every Saturday, 5-7pm. This is not a class but we welcome any new people who want to join in for a session, we are very happy to show people the basics, dance with them and direct them to where classes take place! There is no need to bring a partner or have previous knowledge, just bring yourselves! We all share the cost of the studio and ask for £8 per person to attend. If you want to try Samba de Gafieira, find out more and have a dance with us, we are a friendly group! Samba de Gafieira is a Brazilian dance also known as Gafieira. 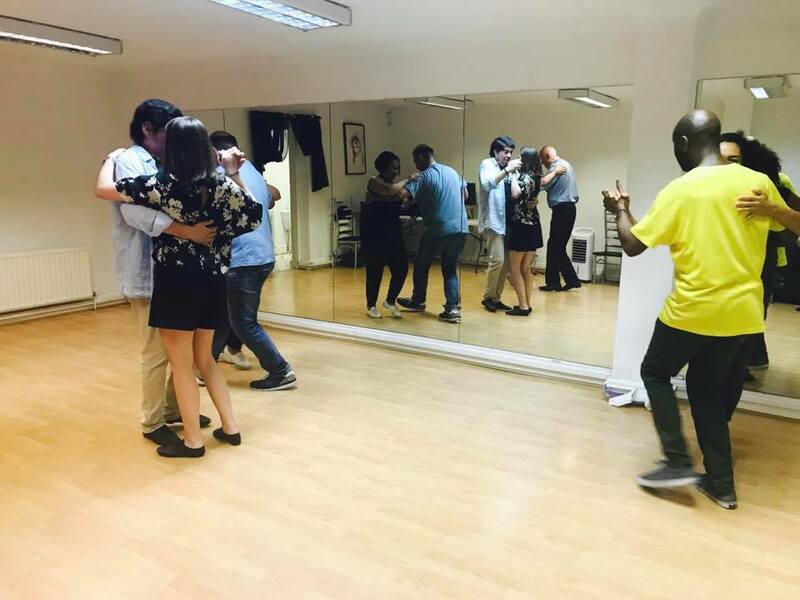 It must be distinguished from the famous Brazilian Carnaval Samba, as it is an elegant partner dance, danced in close or open embrace, using impressive leg extensions with movements similar to the Argentine Tango. The word “Gafieira” can refer to a traditional samba music as well as the dance hall where it is performed. Special thank you to Kleber Saude for recording the video for us! !